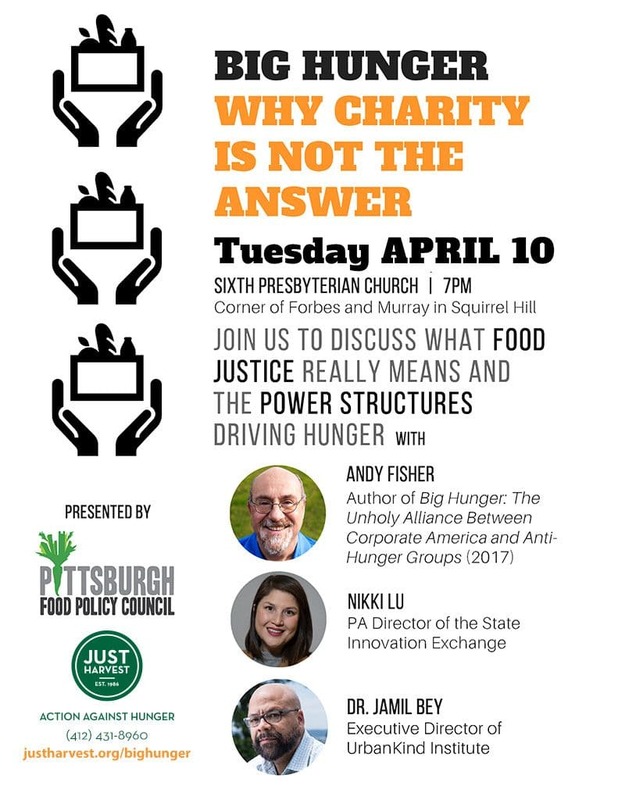 Join us for a panel discussion as we look at the national, state, and local power structures that drive hunger, and why the most popular solutions to this pressing problem may not be the right ones. Innovative leaders will share their views of how to address hardship and achieve opportunity for all – in Pittsburgh, across Pennsylvania, and throughout the nation. 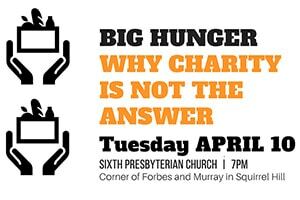 Author of Big Hunger: The Unholy Alliance Between Corporate America and Anti-Hunger Groups (2017). In 1994, Fisher co-founded and led the Community Food Security Coalition (CFSC), a first of its kind national alliance of hundreds of groups working on urban food access and local food. Fisher is an expert on a variety of food system topics and tactics, including community food assessments, healthy corner stores, and farm-to-cafeteria programs. PA Director of the State Innovation Exchange. Lu served as the Western Pennsylvania Political Director for the Service Employees International Union, Local 32BJ. 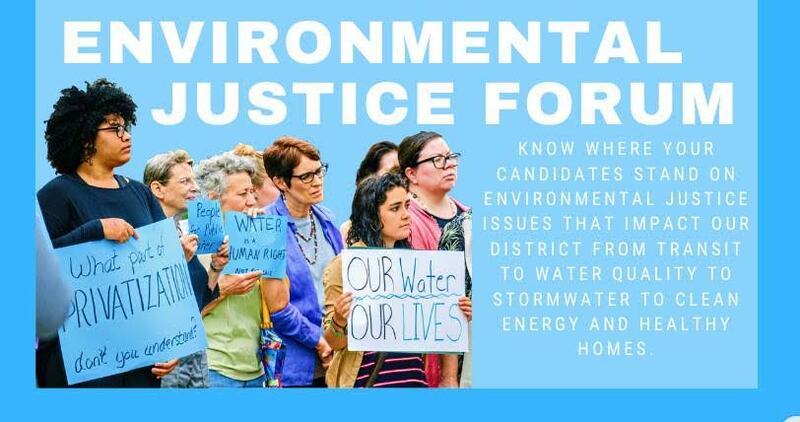 Her work has been instrumental in defending and moving progressive policies that help working families across the Commonwealth, and in organizing union coalitions to elect progressives at all levels in Pennsylvania. Executive Director of UrbanKind Institute. Bey’s vision for the Pittsburgh region is one of justice, equity, and inclusion. He is a researcher, analyst, and consultant specializing in challenging common assumptions and bringing alternative perspectives for consideration. His integrated-systems view of the world provides highly contextualized conclusions and recommendations that consider the interconnectivity of economics, politics, history, culture, health, social movements, and the environment. Registration not required, but greatly appreciated!